The last time i posted on Gold was http://www.nooreshtech.co.in/2012/09/goldtime-to-accumulate-with-a-medium-term-view.html which did not work out as expected. So simply put you get some views right and some wrong. Till the rights outweigh the wrongs you will do good in markets. 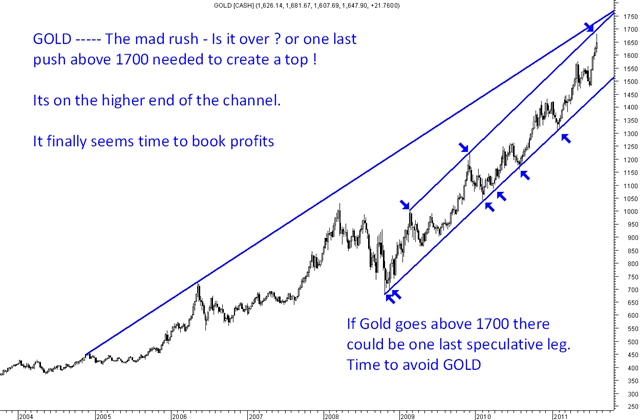 Yet again in this post am making an attempt to analyse Gold. So the view right now is as below. -> The possible channel support comes at 1350-1360. -> Gold is heavily oversold with a sharp drop. -> Hourly charts showing big of divergences. One can expect a small bounce from this zone but if it were to stay below 1350 we might end up at 1250 odds. So if a trader is ready to take a risk can do with a strict stoploss of 1350. Upside targets would be 1420 and in an extreme case 1460. Now coming to the fact of Gold Etfs – They are always supposed to be hedges and all your financial experts may advise it to max 5% of portfolio. Unless you are heavily leveraged one need not worry and continue to the strategy. For somebody who does not have gold and wants to buy physical gold for use ( Marriage, wives jewellery etc ) may look to SIP below 25000 and be ready to see 22k also. As an investment never been in favor gold – it should be mainly taken as a trading opportunity. Else not really an investment. Maintain the view that it is better to get into equities right now with a long term view only if you can digest a 5-15% drop stock wise and 5% index wise. Disclosure: No positions or trade on Gold apart from some which i had to buy during my marriage for family. Personally i do not prefer gold and if i wear any gold it could be in my teeth 🙂 so my bias will always be to trade gold just like other index- Nifty etc. good call nooresh. u really deserve great applause. 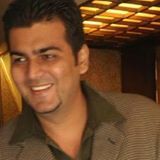 What is your view on brokerage sector (finance sector) i.e. stox like Motilal, Religare, etc ?